Unlike any time in history, people can now leverage their own experiences to create online courses for others without having to become a serious technologist. The first time I got into creating a computer-based training (CBT) course the solutions out there allowed me to take content, use software to turn it into a course, and then install it on a custom computer that I could then deliver to my customers. This was the state of CBT in 1995. I was doing it to solve a business challenge. We were running physical classroom courses at Berkeley Lab and a reduction in force had eliminated all the staff in our training department. I was a young guy from the temp agency – paid so little it didn’t make sense to let me go. So as the admin for the training group, I proposed we use the internet to solve our problems. That was a long time ago before the internet had frames, scripting, Flash, or anything other than text and blinking text. I know I sound like an old man when I say, “When I was young,” but the reality is that things were different back then. Today people have so much more access to easy tools and technologies that help them get things done. A few weeks ago, I helped a gentleman who has a million dollar business. You know what he teaches online? How to cut the hair of black men. That’s his corner. Another person I spoke with a few weeks ago has a business that is rapidly growing. You know what they teach online? How to sing correctly for Broadway. Pretty cool corner, right? I’ve helped a gal who runs a very effective business online today – by taking lessons learned from fire fighting and translating them for businesses. I could tell you about online wine pairing, dog grooming, real estate social media training, and tons of other courses that are being developed right now. Here’s the truth, as I see it: today everything is different. You can use your phone to record video. You can upload it to YouTube. You can embed that video on a WordPress site, and you can start collecting money – without writing any code or learning anything technical. Today, the technology is here to help you, not be a roadblock. Check out this video on how to do it with Rainmaker! Here’s what I know: what you know can help others. That’s the best news around. No one is going to pay me for something so simple. Anyone can do it. I get it. Seriously, I do. Remember, I’m the guy that stood up in front of 400 people and told them he was a constant quitter. But the truth is, everyone explains things differently. When I explain things, sometimes I hear, “That’s a great analogy and one I’ve never heard.” It means that even if others have explained things, my way has helped someone. I also know that what is easy for me may be hard for someone else. You can’t discount things simply because you mastered them quickly. On a budget less than $30? Let’s talk about the simplest way you could do this. Because I’ve already explained one way. And I explained and compared the various WordPress solutions. But let’s go super simple this time. Need to be convinced to get FilmicPro on your iPhone? Check out this quick video made with the application. 1. Shoot the video of you explaining or teaching what you want. Keep it to short clips (many short clips are better than one long one). 2. Edit it with FilmicPro. 3. Upload it to YouTube but mark it unlisted (only available for those with the URL). 5. Copy the code at the top (starts with “<iframe…” and put it on your WordPress page. 6. Do the same for as many pages with as many lessons as you need. 8. You can alternatively, not set up PMP and just place a PayPal button on the sales page. You can use the thank you page to route them to the first video page. The only problem with this approach is that the page’s link could be sent to others who haven’t paid. Which is why you might consider step seven. 9. If you’re using PMP, configure the PayPal gateway. If you’re not, go to PayPal and create a payment button to place on your page. Seriously, that’s it. Not a single line of code is needed. 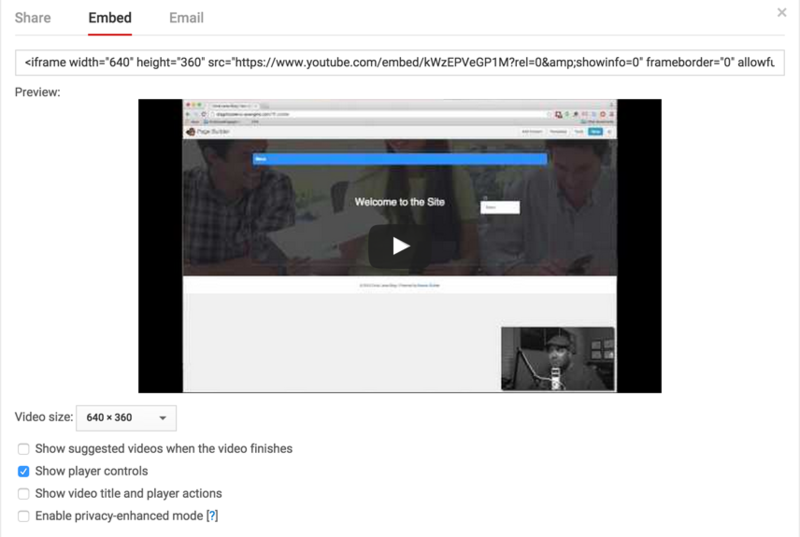 I got a tiny bit fancier when I created this site and video course, but still no coding when using Rainmaker for my Membership Huddle course.